Bristol Road Justice has been in contact with Avon and Somerset Police as to the action they are taking with regard to enforcement action against dangerous drivers. 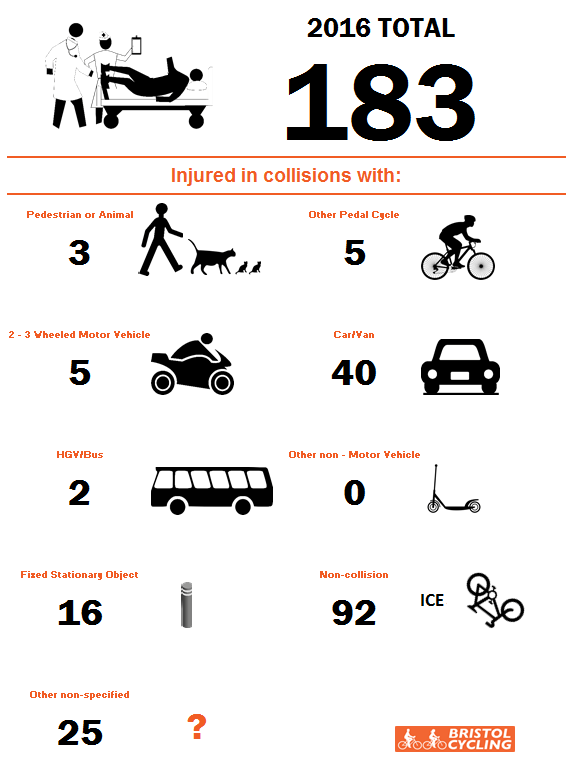 In the same period hospitals in Bristol admitted 47 seriously injured cyclists (ten year average 39). 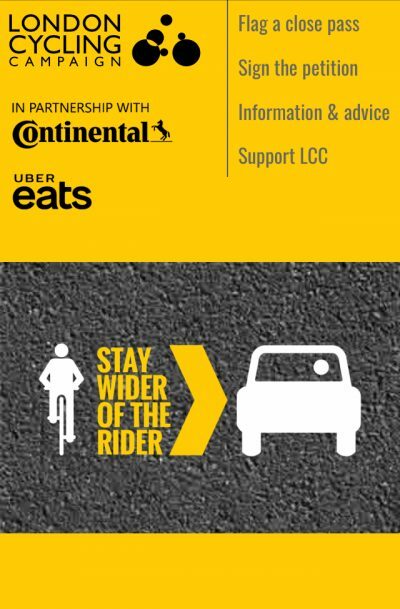 of 68 pedestrians admitted due to traffic collisions, 62 had been hit by a motor vehicle, 6 had been in collisions with cyclists. Although figures for cycling casualties were up on the previous year, the figures do not show a long-term upward trend. Nor, given the increase in the number of cyclists over the last ten years, do they show that cycling is a dangerous form of transport. That is not to say that the level of death, injury and intimidation on Bristol’s roads is in anyway acceptable. For incidents recorded as resulting in “serious” injury, we looked at a sample of 14 cases, in 6 of which the police decided to take no further action. For a sample of 12 incidents on the Gloucester Road, the police took no further action in 8 cases. The n.f.a. 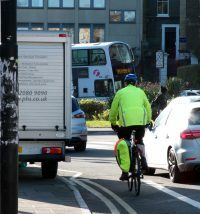 cases exclude those where the cyclist was recorded as not wishing to pursue matters. Most concerning was the Force’s lack of action with regard to car doorings where only 1 case out of 15 was prosecuted. The impression given is that Avon and Somerset Police will not even consider enforcement action unless very serious and obvious injury is caused and this partly explains why the majority of Gloucester Road and car dooring cases were not pursued. That someone knocked off their bike by a carelessly opened vehicle door is injured is entirely predictable, far less predictable is the extent of their injuries. In fact such incidents can result in fatalities as the recent case of Sam Boulton in Leicester has shown. We have written to Avon and Somerset Police’s Head of Road Safety and asked for details of their charging policy in such cases.